The lack of women on the radio and popular streaming playlists isn't due to a lack of content. With little effort we found 17 songs from rising female singers in country music that deserve your attention and respect. 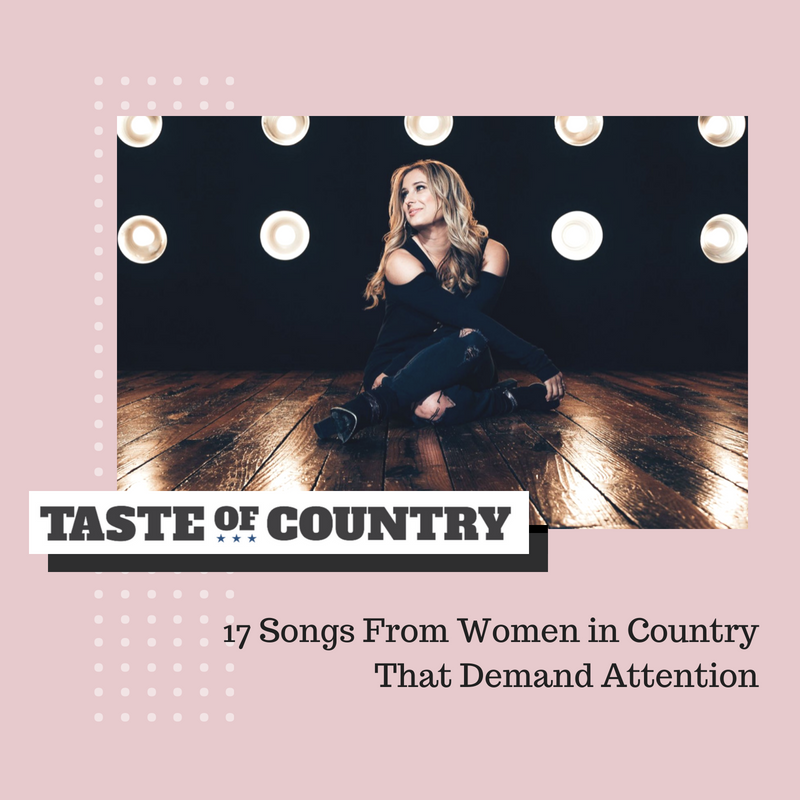 A few of the names you'll recognize (Kelsea Ballerini, Kacey Musgraves, Lindsay Ell), but none of the songs on this list have reached critical mass. That means they rest outside of the Top 40 on the Billboard Country Airplay chart (if they've been released as singles) or they're album cuts yearning to be much more. "Contact High" will melt the strings off a guitar, yet Caitlyn Smith remains an underground act appreciated by very few. Morgan Myles' "Acapella" is pure bliss, yet this talented vocalist is still very much on the outside looking in. Risa Binder, "You Came Along"
The country vocal powerhouse's energetic new single is a reckless expression of love. Risa Binder may be an unfamiliar name to you but one listen of "You Came Along" will leave a fast impression. See the full list and more on TasteOfCountry.com.